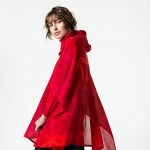 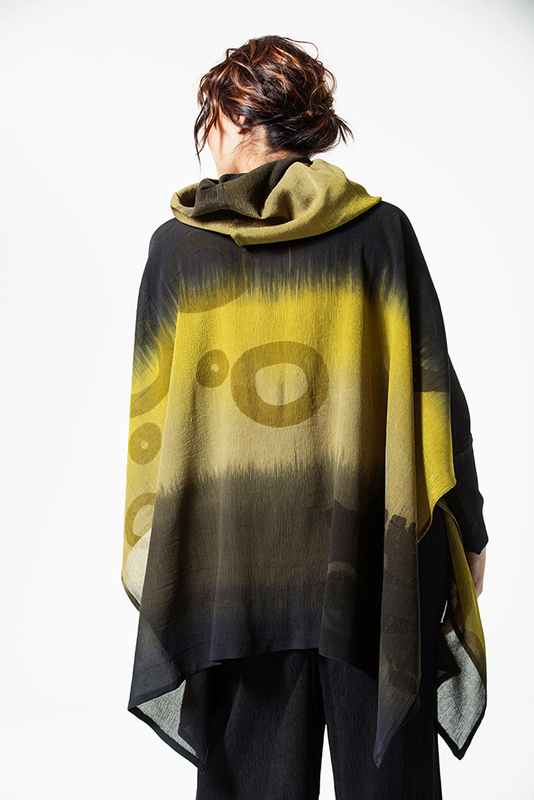 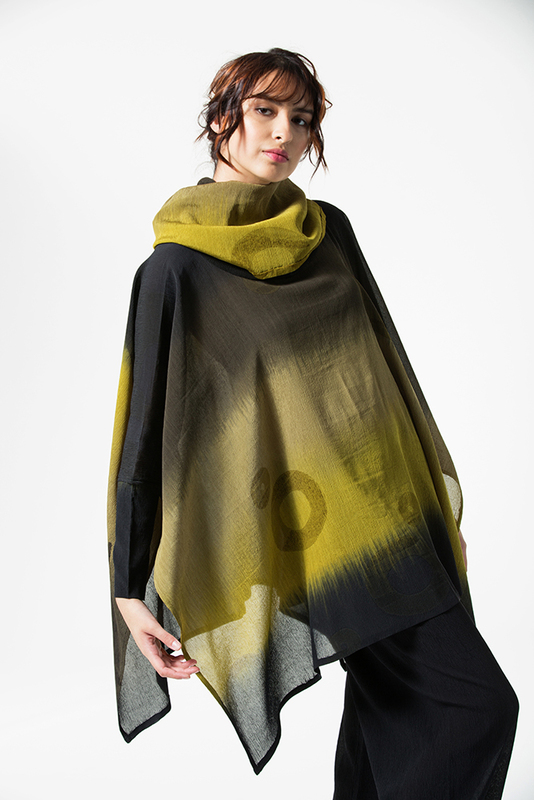 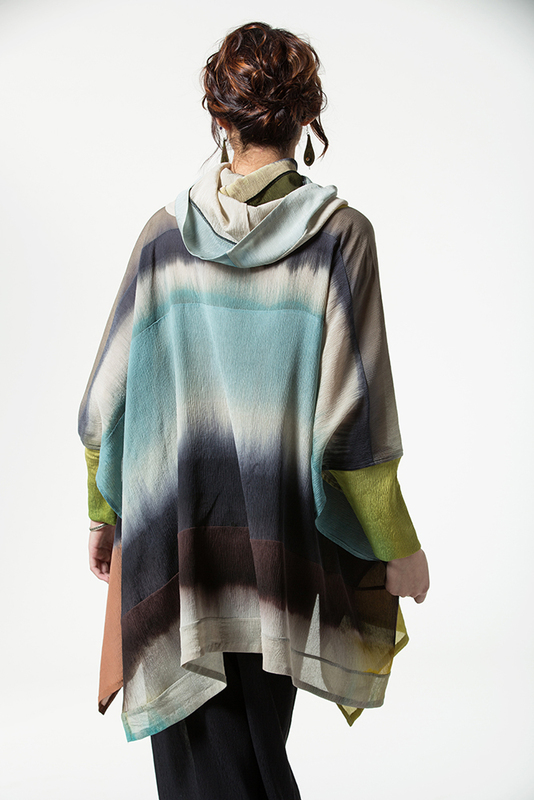 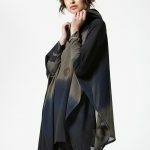 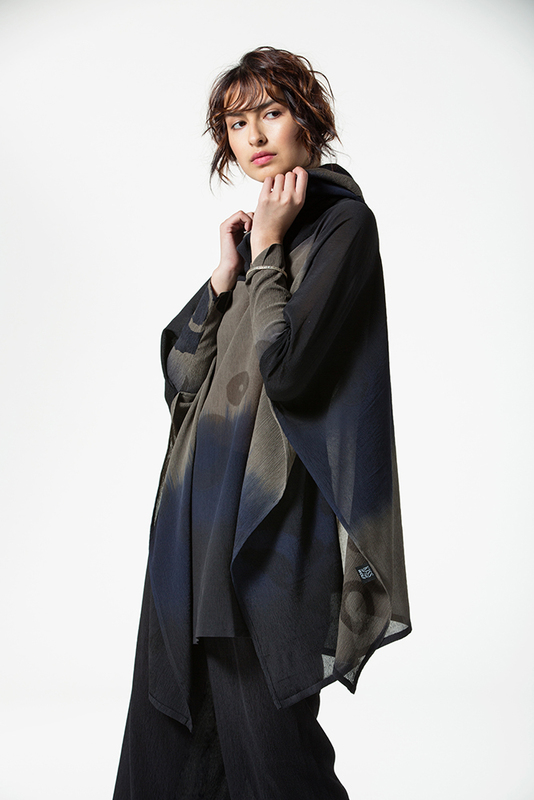 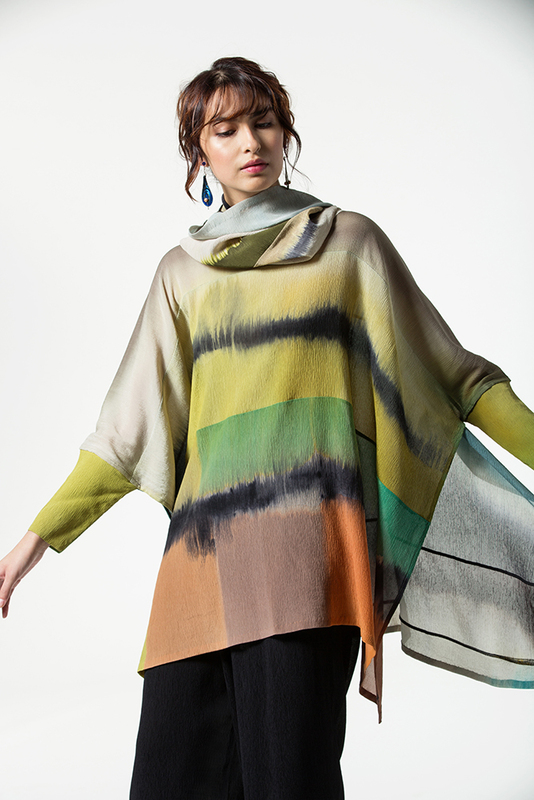 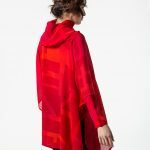 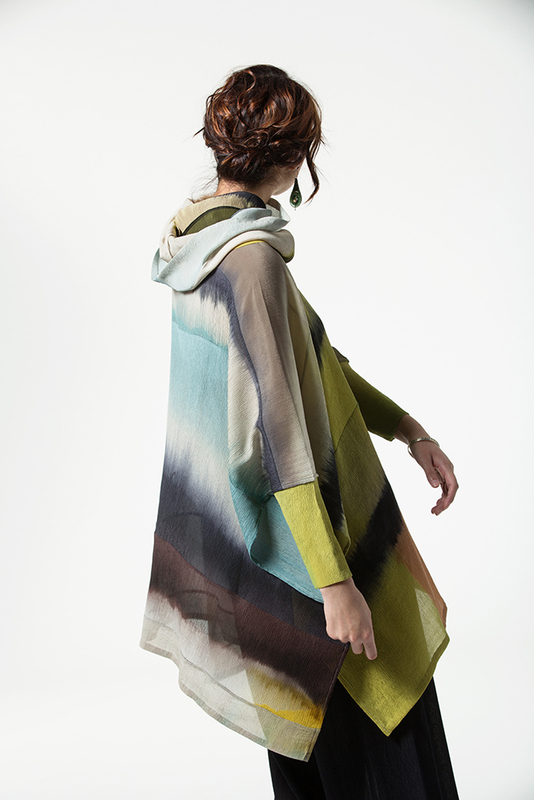 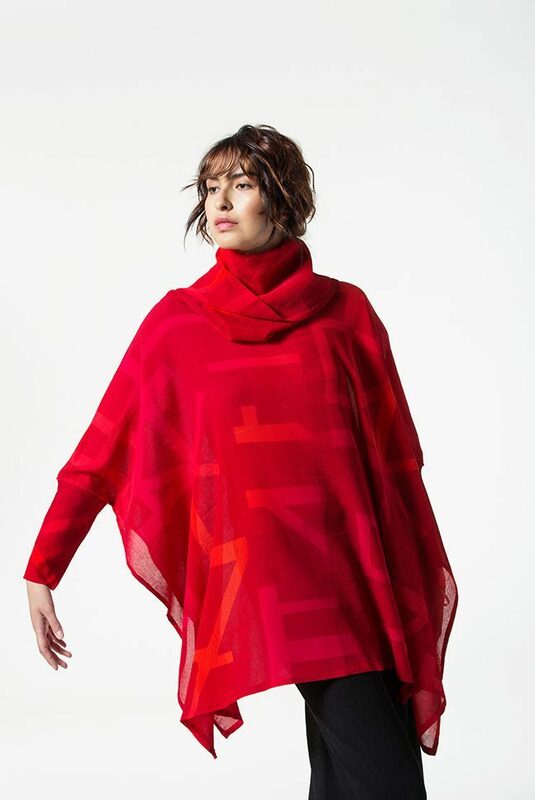 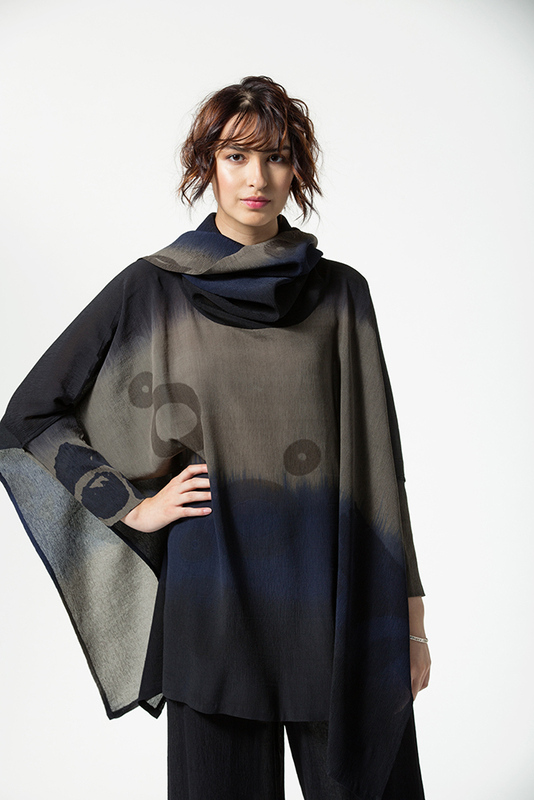 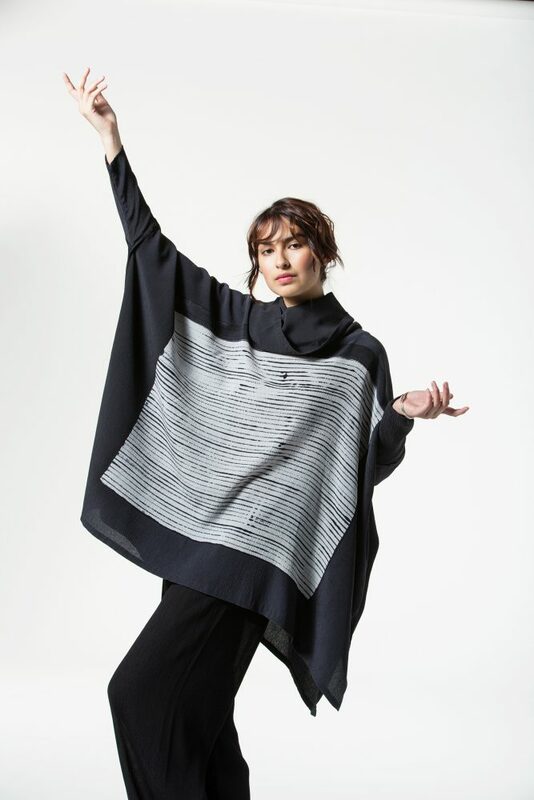 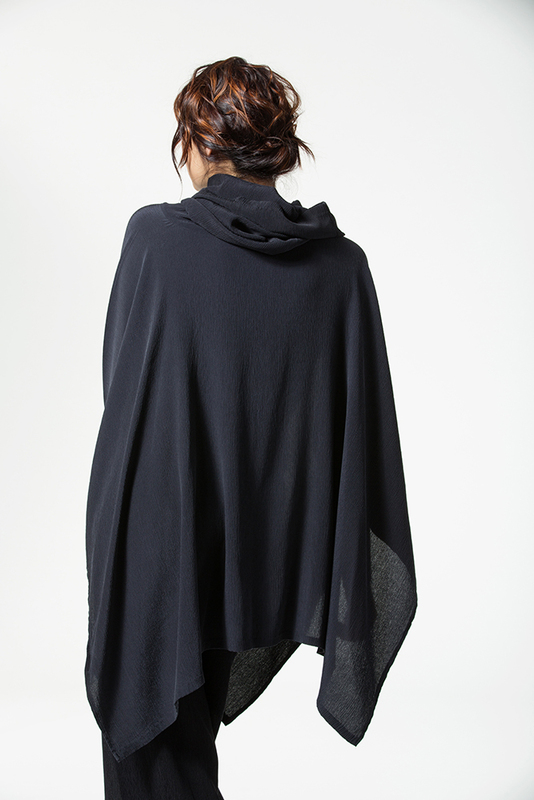 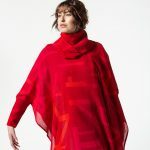 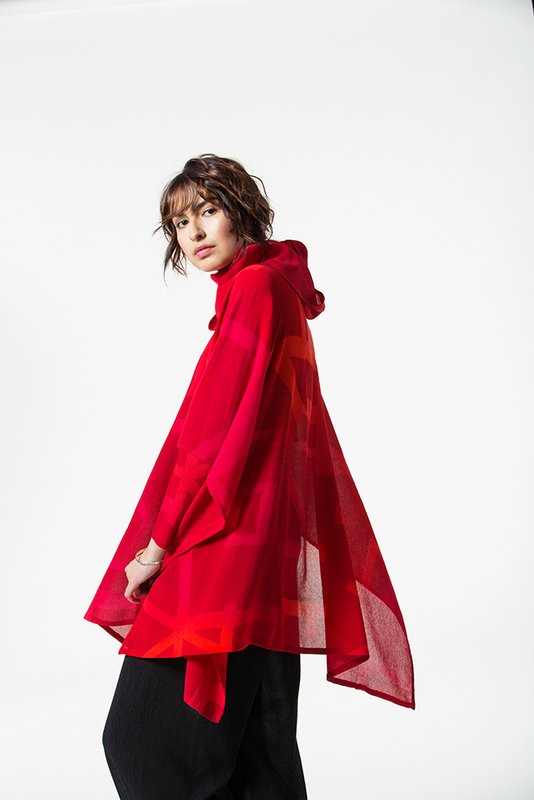 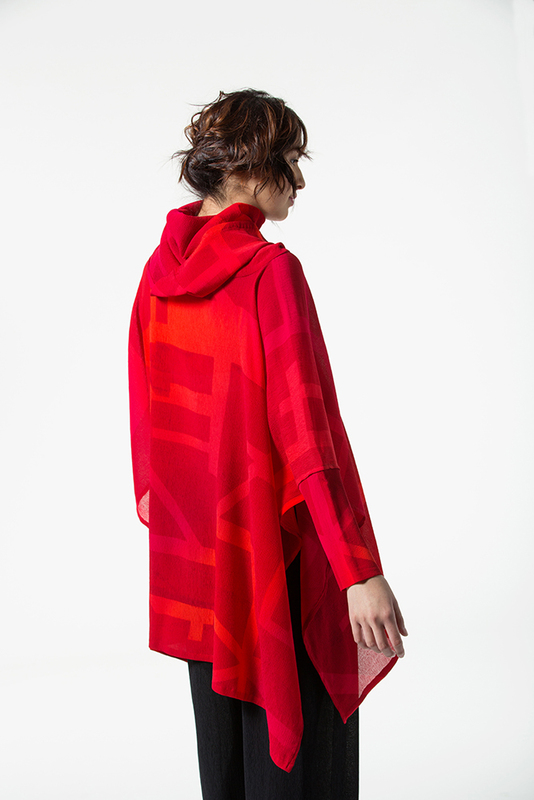 Our Open Poncho is luxurious, fluid and versatile. 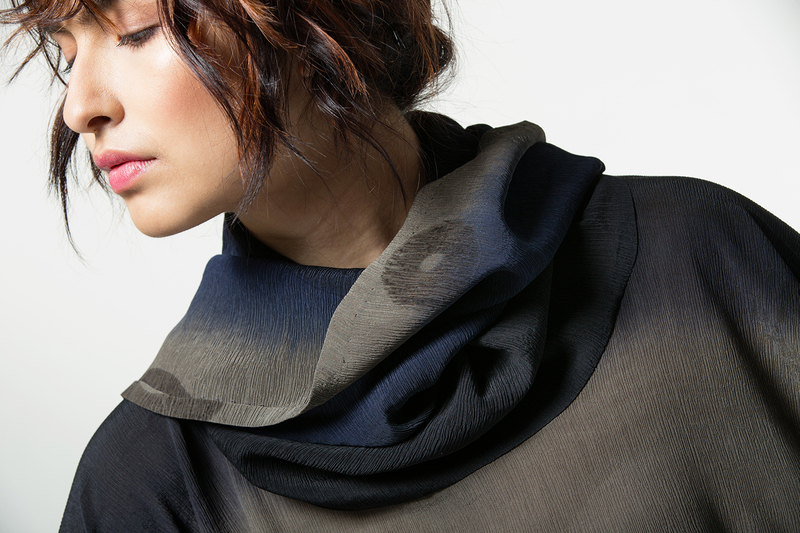 Wear it as a shirt or a top layer. 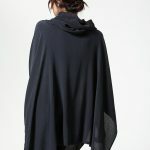 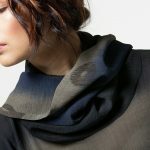 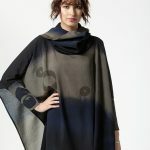 The draped cowl neckline may be worn up as a hood. 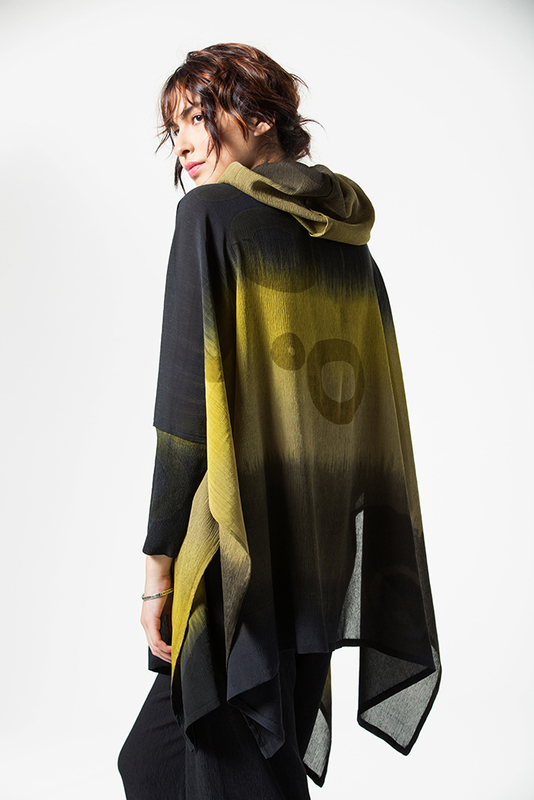 Featured: String Graphic – silk screened black on crinkle silk. 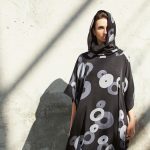 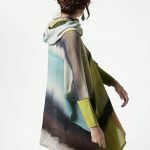 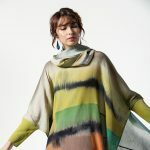 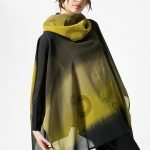 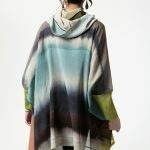 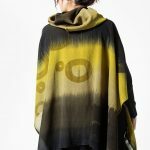 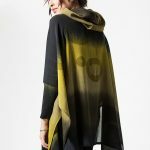 Also shown: Rothko – one of a kind- hand painted then pieced; Pixel- India Brights, Batik and silk screen; Ghost Huari, chartreuse and black; Ghost Huari, mushroom, blue and black; Huari (Sleeveless), lavender and black.